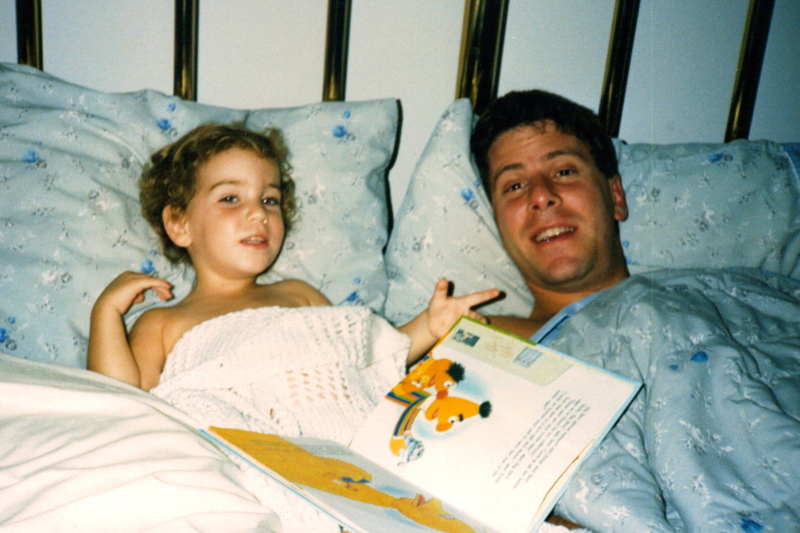 As a child, there were few things I loved more than bedtime stories. Every night before bed, I climbed into worlds where trains chugged up impossible mountains, boys flew through nursery windows, trees gave and gave and gave, and a curious monkey befriended a man in a yellow hat. Some nights, I would lay my head in my mother’s lap and be soothed off to sleep with tales of princes in disguise and perfectly rhyming poems. Other nights, I would sit straight up as my father’s voice magically transformed with every character that entered our little world. His voice would become high and squeaky for the little old woman who lived in a shoe, gruff and booming for a particularly hungry wolf, and rolling with Italian flair for the man with the yellow hat. You might be thinking, “But Curious George’s best friend, the man with the yellow hat, wasn’t from Italy. He’s a New Yorker.” Yes, he most certainly is. My father ignored this fact and I, enthralled with the adventure and the voice, didn’t notice. My senior year of high school, I was having a conversation with a friend about our favorite childhood books. He nonchalantly mentioned Curious George. My eyes lit up and immediately I exclaimed, “I love Curious George, I’ve always wanted to go to Italy!” He looked at me with a sideways glance, “That’s great, but I’m not sure what one has to do with the other.” I looked back at him, turning my own head sideways, “What are you talking about? Curious-a Georgie and the man with the yellow-a hat-a,” I said in a terrible Italian accent. Realizing the confusion, he gently explained to me that Curious George was not in fact an Italian monkey. Shocked, I immediately called my father, who, with tears streaming down his face from laughter, explained that he used to read to me in all kinds of nonsensical accents because it made me laugh. Many years have passed since the nights when Peter would fly through my bedroom window and stories were read in capricious voices. But these precious moments, when everything was possible and the next great adventure was only a page away, remain among my most cherished memories. It will be the greatest joy of my life to someday introduce my own children to a wild rumpus on a shore, a little girl tumbling down a rabbit hole, and a certain “Italian” monkey and his friend, the man with the yellow-a hat-a. Older PostMeet Regional WRADvocate Kevin Simpson!